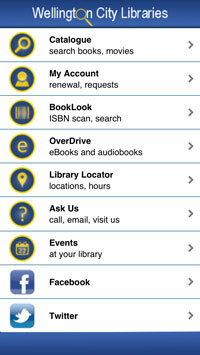 Have you tried WCL mini – our library app? We’ll also be building in links to some of our other online resources as we go. Compatibility: The app is available for devices using the Apple iOs (iPhone, iPod touch, iPad) and Android operating systems. It’s also available for BlackBerry, J2ME, Palm OS, Symbian S60 and Windows Mobile. Alternatively you can search for WCL Mini in the App Store (iPhone, iPad, iPod Touch) or Google Play (Android devices). Don’t have a smartphone? There’s a web version you can use that mimics the app. Use the same link as above in your web browser. Let us know if you experience any technical errors, oddities or annoyances when using the app – we can feed this back to the app creators for future releases. Also, we’d love to know if there’s something you like about it. Just add your thoughts to the comments below. Previous Post What’s Old in the New Year?